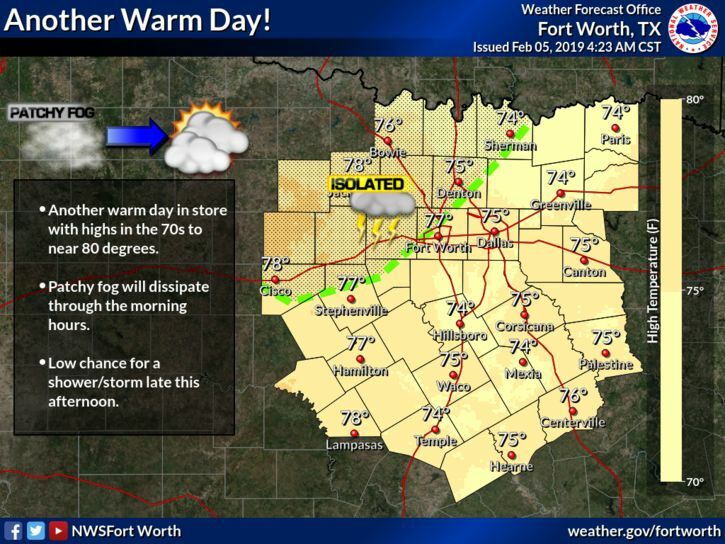 The warm weather continues today for us across North and Central Texas. High temperatures will reach the 70s to near 80 with a low chance for a shower/storm across the highlighted area. The ongoing patchy fog will dissipate through the morning hours. It’ll be quite warm tonight as well, with temperatures only falling into the low to mid 60s. 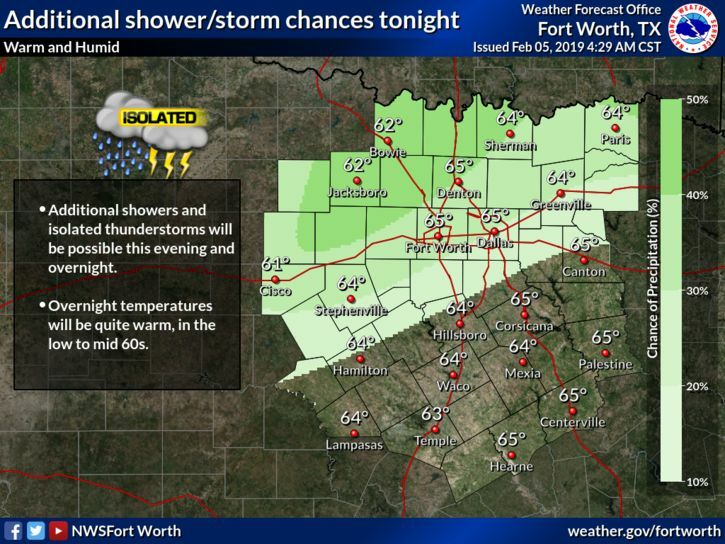 Additional showers and perhaps a few storms will be possible, mainly after midnight north and west of a Goldthwaite to Canton line. Some small hail will be possible in the strongest storms. Thunderstorms will accompany a cold front through the area Wednesday night and early Thursday. 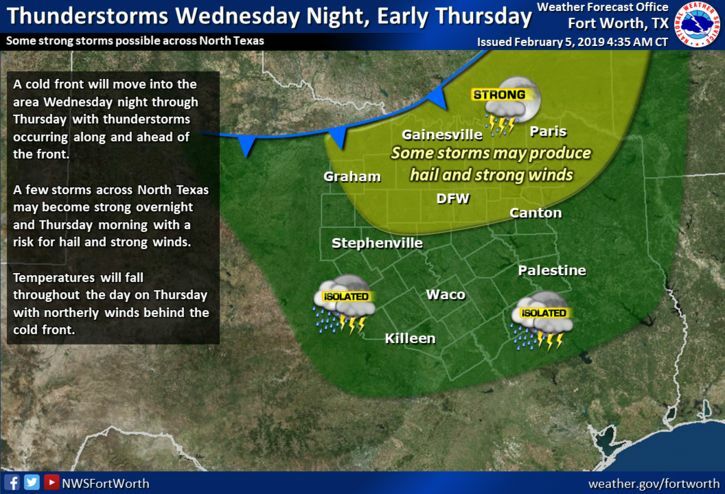 Some storms in North Texas could becomes strong with a hail and wind threat. 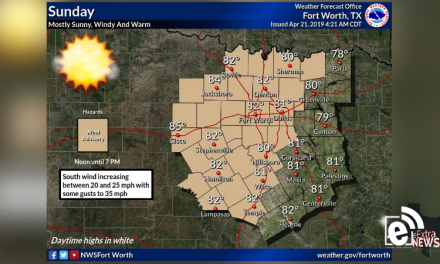 As the cold front clears the area on Thursday, much cooler and dry conditions will follow. 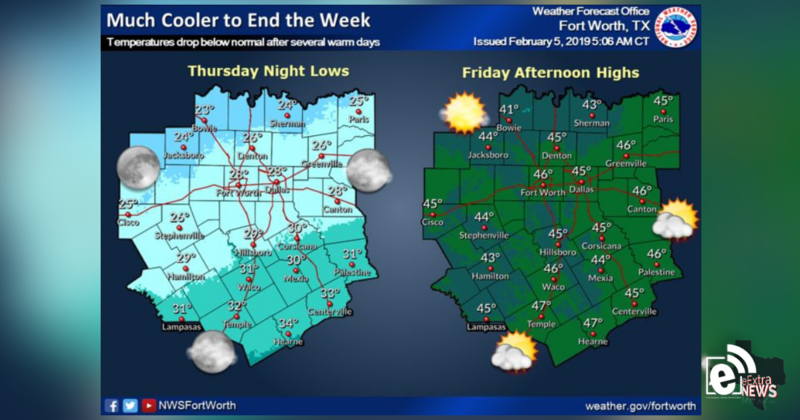 After several warm days, the end of the week will be much cooler. 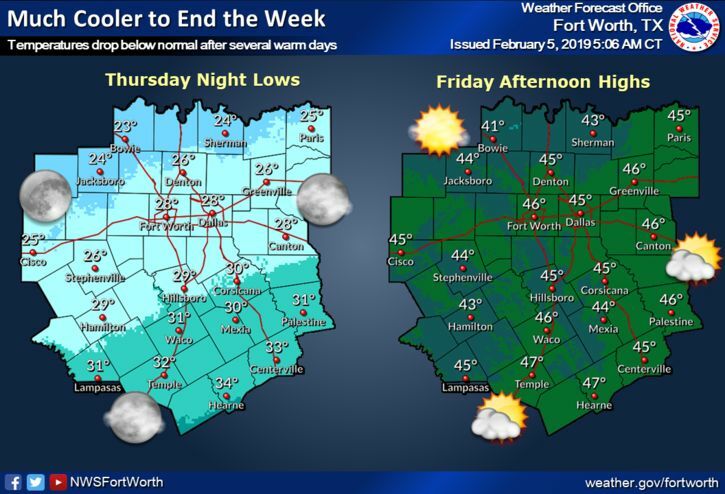 Low temperatures Thursday night and Friday morning will be at or below freezing across all of North and Central Texas. Highs on Friday afternoon will only reach the mid and upper 40s.